Animated 3D CS: GO PvP Resource Pack 1.11.2/1.10.2 is a set of Resource Pack designed by Youtuber / Minecraft Resource Pack Designer Jaba, or known as Jaba Packs. He has usually designed and programmed PvP Resource Pack, and the Resource Packs that many people have known the most are Kratos Pack, Future Pack, and Animated 3D CS: GO PvP Resource Pack. The evolution and surprised fame of PvP system in Minecraft servers have shocked all the Minecraft community in the world these days. 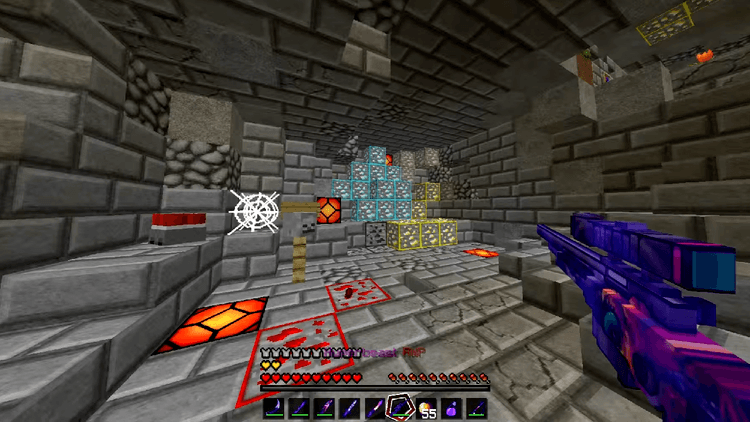 Especially, a new kind of Resource Pack was born: PvP Resource Pack – These resource packs are designed to focus on the weapons, items, and armors using in PvP, as well as the information that the players need in the process of PvP. It will highlight and give clearances to HP bar, Armor bar, Hunger bar, and HUD bar. 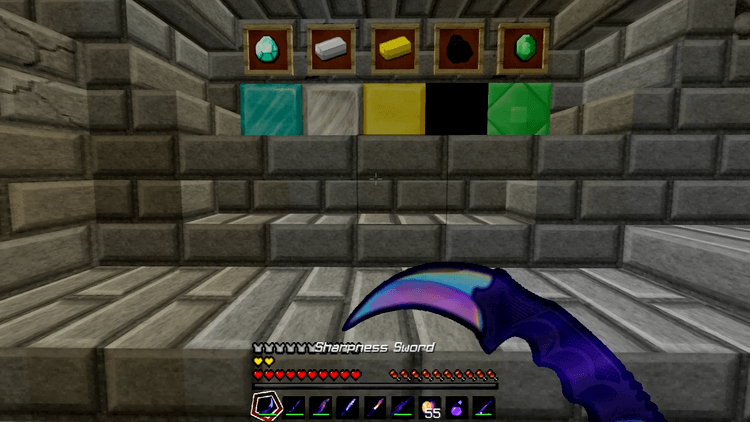 The players who are interested in making their weapons more beautiful and easy to see, they will frequently use these types of Resource Packs because they don’t influence much. Animated 3D CS: GO PvP Resource Pack is a very exclusive Resource Pack set, designed by 3D software so that some weapons in this Resource Pack will lighten as a real weapon in FPS game which is famous globally Counter-Strike: Global Offensive. 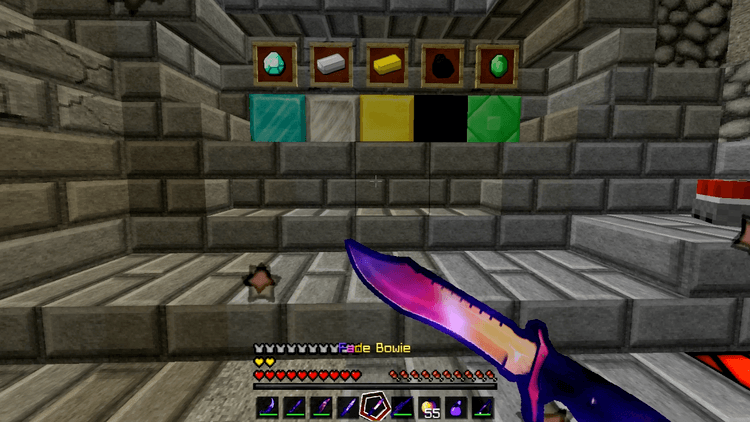 More than that, the weapons that the users have found can edit into high-quality and well-known knives in that game in Minecraft. Additionally, it can add Animated with the effect of light shades in the knife. Animated 3D CS: GO PvP Resource Pack is a set of Resource Pack with high resolution and special effects. 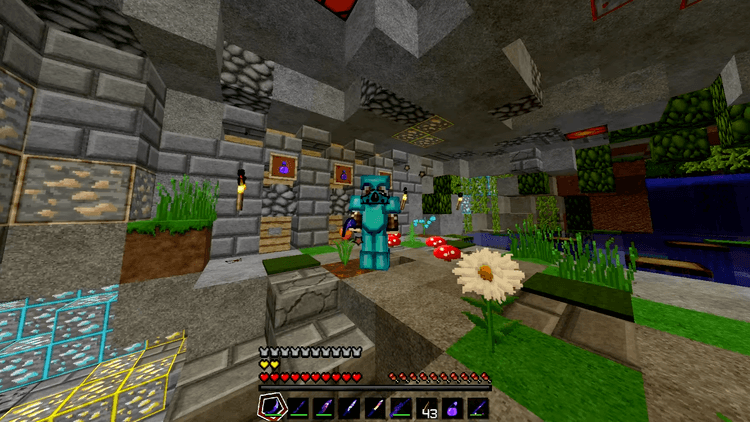 Therefore, the players have to install a supporting mod – Optifine before using. Notice: You have to install Optifine HD before using.